Specifically designed for sub micro machines. 300mm blades and under. BK Servo’s stay cool longer, are more precise, and have better response. Backed by the BEST customer service in the industry. It’s simply a winning combination! A Huge Thank You To BK Servos! Together We Were Able To Win “The Battle Of The Brands” IRCHA 2016. BK Servo is inarguably the best capable servo on the market today. We strive to provide the very best customer service in the industry and are here to support you every step of the way. We stand behind our products, proudly offering one of the best warranties in the market! No matter whether you’re an expert heli pilot or a new RC car driver, we provide the tools to move forward and conquer the RC Hobby! BK servos give me speed and reliability on the track, race after race. 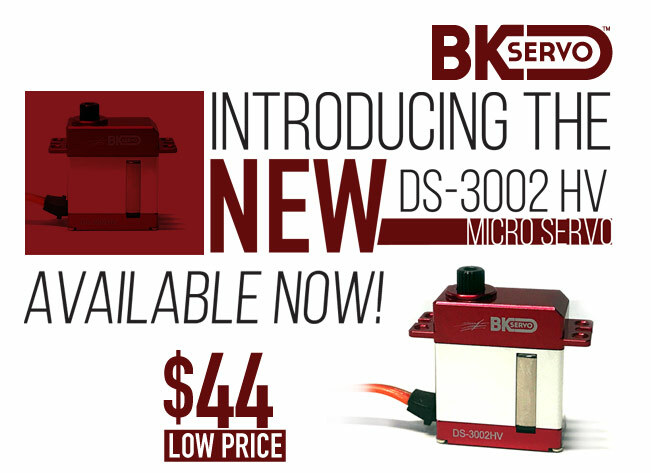 There is no other servo that gives you the speed and precision that BK offers! They also have some major bling which car people love! This is my original set of BK SERVO’S, bought these as soon as they were released. I just put my 600th flight on these Servo’s. They have been in 4 different Heli’s, been through 30 crashes and still perform perfectly. Absolutely no slop, never stripped a gear, just awesomeness. 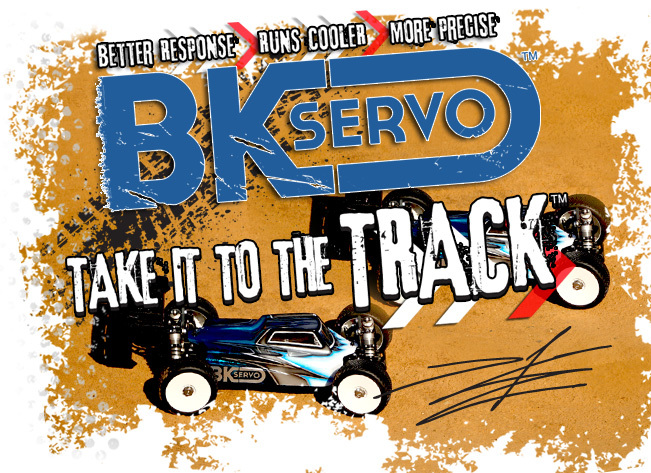 Thank BK SERVO for the support and the best Servo’s on the market with the best customer service in the industry. 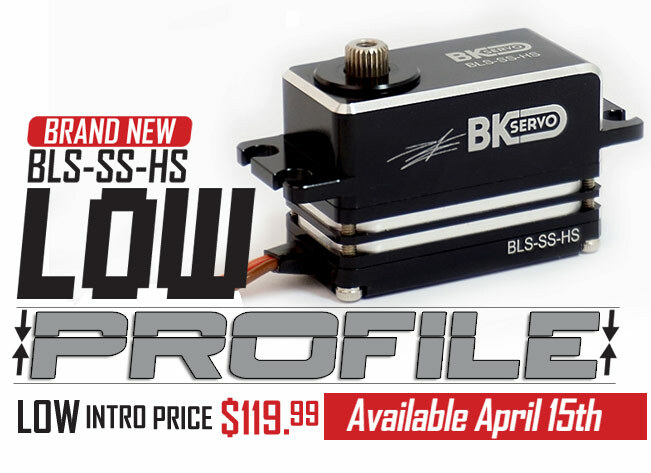 BK Servos are the ultimate fusion of speed, torque, and precision. These are highly dependable servos from a company known for high caliber support. Strength, beauty, and speed. What more could you ask for? My BK Servos have been in 3 hard crashes one destroying entire heli and they still run smooth as silk! Couldn’t be prouder to run such a great reliable product! BK Servos are by far the smoothest and fastest servo I have ever used. 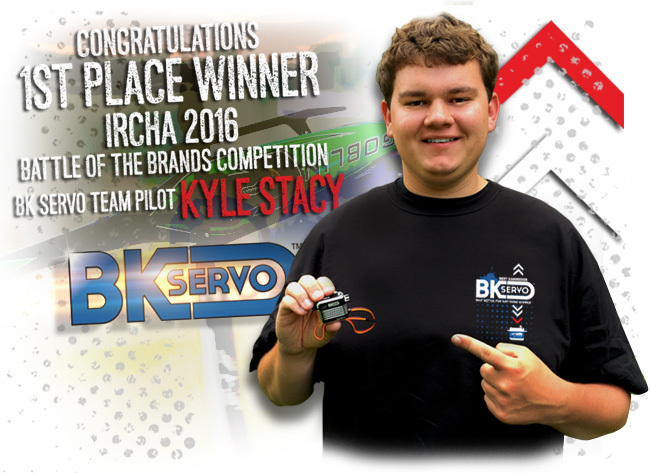 Not only does BK Servos keep me looking good in the pits, but the quick response keeps me one step ahead of the competition. 11 crashes and 131 flights, not a single broken gear and servos still going strong! Professional level performance at an affordable price. BK Servos have been the most impressive and reliable servos I have used without a shadow of a doubt. I absolutely love my BK Servos, very affordable power and speed! Why Settle For Anything Slower?